Furthermore, last Friday saw the release of Super Mario Odyssey in Japan and in overseas markets. 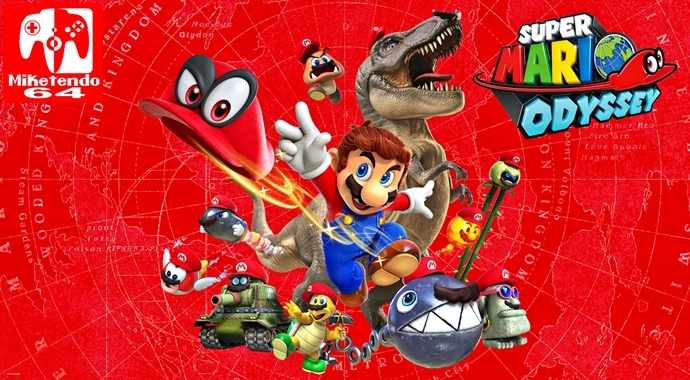 This newest title in the Super Mario series received many awards this year at the largest game shows in Western markets, such as E3 and gamescom, and consumers had high expectations leading to its release. Although Super Mario Odyssey launched just a few days ago, the game appears to be meeting those expectations, judging by its high review scores from the gaming media and players’ positive comments on social media. While about 7 million units of Nintendo Switch hardware have been delivered into the hands of our consumers around the world, we estimate that the global sell-through of Super Mario Odyssey has already exceeded 2 million units in just its first 3 days. The holiday sales season will soon go into full swing, and we plan to make more Nintendo Switch systems available in the market. We will endeavor to further increase the number of consumers who want to purchase Super Mario Odyssey, and eventually we would like the game to be seen as an evergreen title that has longevity in the market beyond this holiday season. By releasing this product against a backdrop of maintained and growing buzz around Nintendo Switch, which also has continually high usage rates, we think this will give us a big edge heading into the holiday season. Stay tuned, even more is on the way!